This is the final show in Europe of the Wrecking Ball Tour. In a couple of days I’ll send an e-mail with the latest bootleg available. 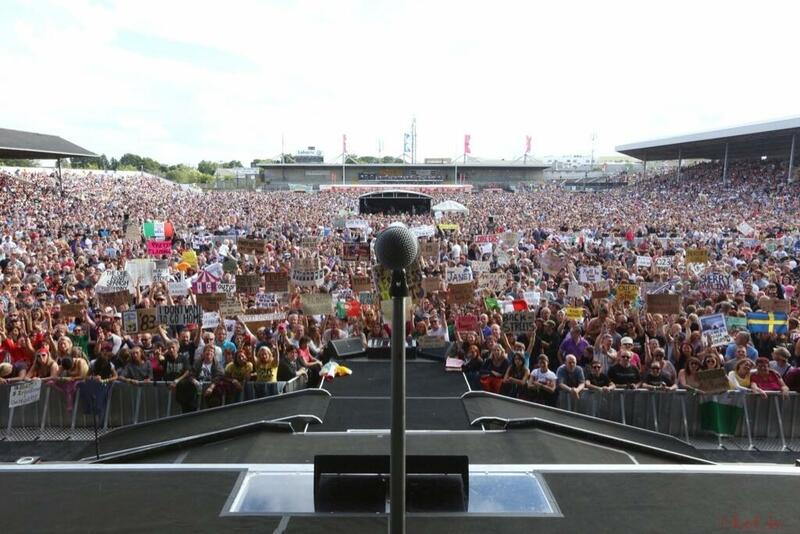 Last night Bruce Springsteen and the E-Street Band played in Kilkenny for the first time. The highlights of the show are Shake, Sweet Soul Music and Drive All Night. This very old bootleg called “2nd Annual Nothin’s Festival” is the first performance of The Bruce Springsteen’s Band. The recording’s quality, especially considering the age, is good. CC Rider > Down The Road Apiece <—listen! Contrast clause: This is different than the one posted here, http://jungleland.dnsalias.com/torrents-details.php?id=35315, in that this is transferred from my tape copy and is complete. I’ve been slowly going through my 1000+ Bruce tapes, comparing to what is circulating and upgrading when possible. The transfer of this show comes from my tape copy and contains the 2 songs missing from the commonly circulating silver disc “Down The Road Apiece”. The 2 songs here that are not on that version are “Natural Magic (unfortunately cut) and “Jambalaya (Roll Over)”. 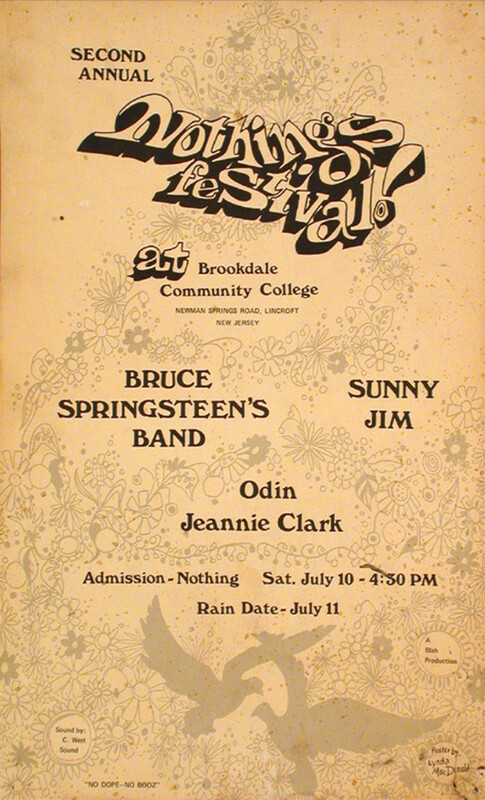 This show is the first known performance of The Bruce Springsteen Band (as a 9 piece band) and was billed as “Bruce Springsteen’s Band” on the flyer. Outdoor performance, quality is very good throughout for the era … sample in comments. -Jambalaya (Roll Over): 30 seconds of speed fluctuation about 1 minute in. Bruce Springsteen and the E-Street Band have been first artists to play in the Leed’s arena. The european leg of the Wrecking Ball tour is almost over. To console ourselves, I’m offering the book Queeing in Euope for free for one day only: friday, July the 26th (tomorrow!). Although you won’t have to follow Bruce around Europe anymore, you can still use this guide while going on with your holiday in Europe, or to better plan “your” next tour (seems there will be a “new tour” in year 2015 – they’re just rumors, but… can we be disorganized, when it’ll happen?). That’s true: it’s quiet weird that Bruce and the E-Street Band are going to play again in Moenchengladbach, but I guess there is still some chance for them to hold a show in Paris. So, set now your reminder to download Queuing in Europe for free tomorrow (Pacific time zone 24.00)! Last night Bruce Springsteen and the E-Street Band played in Cardiff. Next concert of Wrecking Ball Tour is tonight in Leeds. 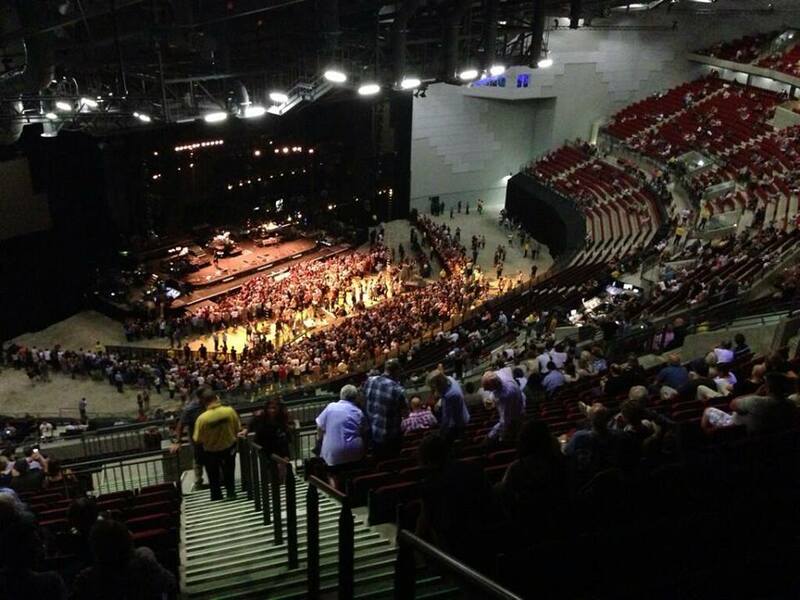 This is the first concert in Belfast for Bruce Springsteen and the E-Street Band, Bruce played here three times, but only alone (1996) or with the Seeger Session Band (2006 and 2007). I have just updated the Tour Page with latest show added. Last night Bruce Springsteen and The E-Street Band played in Cork for the first time. Nice pre show with I’ll work For Your Love, Girls In Their Summer Clothes and Real World (on the piano). I think that it is the first time a song – Real World – has been played two times in the same concert. Next show of Wrecking Ball Tour is Saturday the 20th in Belfast. Bruce Springsteen and the E-Street Band are now playing in Limerick, I’ll update the post during the evening. 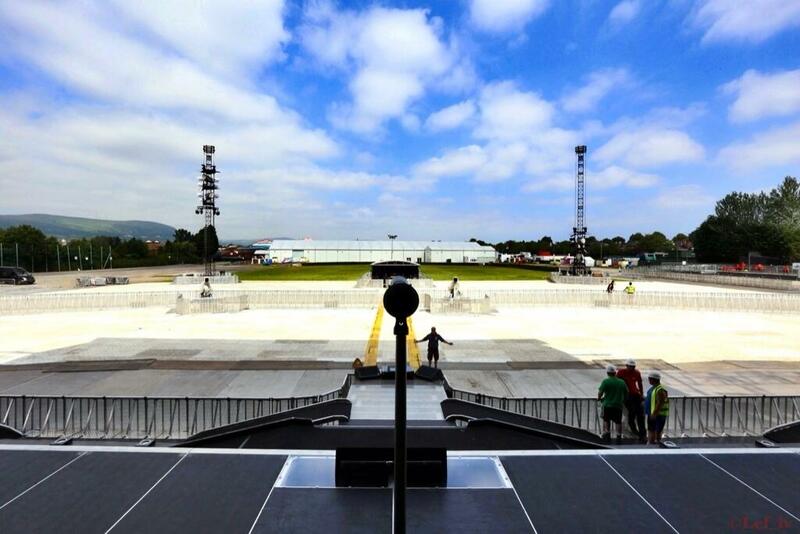 Next stop of Wrecking Ball Tour will be on July the 18th in Cork. 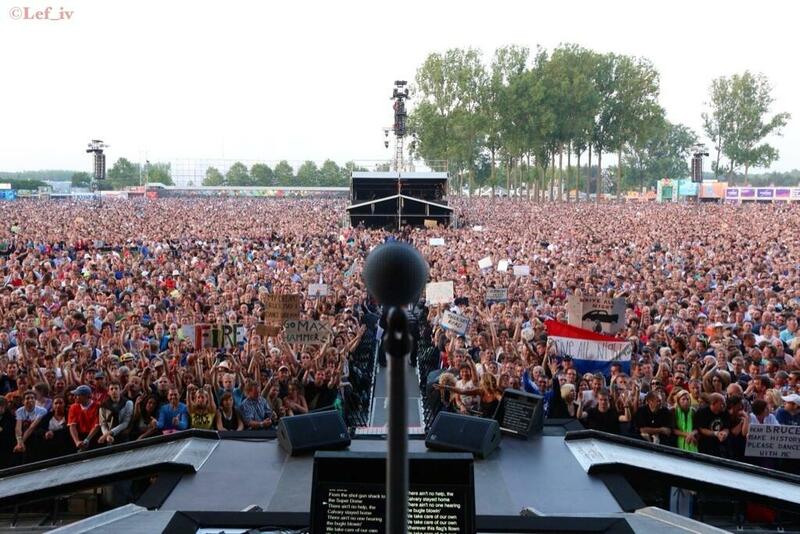 Yesterday night Bruce Springsteen and the E-Street Band played in Werchter. 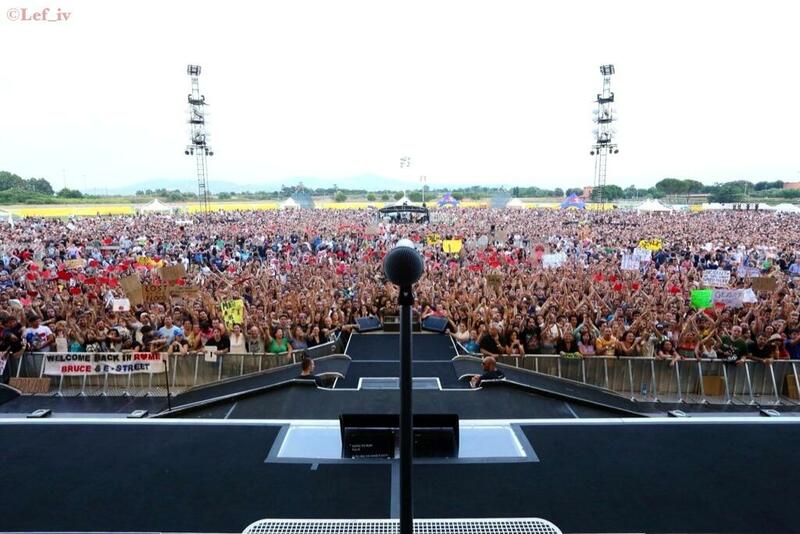 Last night Bruce Springsteen and the E-Street Band played in Rome for the last Wrecking Ball Tour date in Italy. For the first time ever New York City Serenade has been played in Europe.